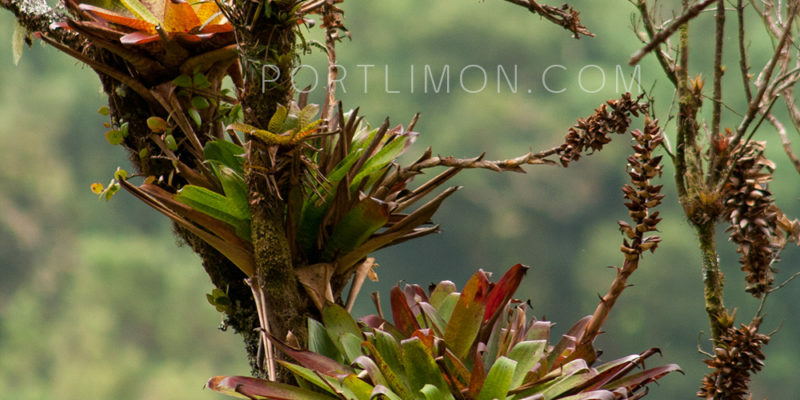 Bromeliads are a clear example of biodiversity in Costa Rica, they´re present in most of life zones found here, their variation in color of foliage and inflorescence is enormous, with the ability to adapt to different environment conditions as well. 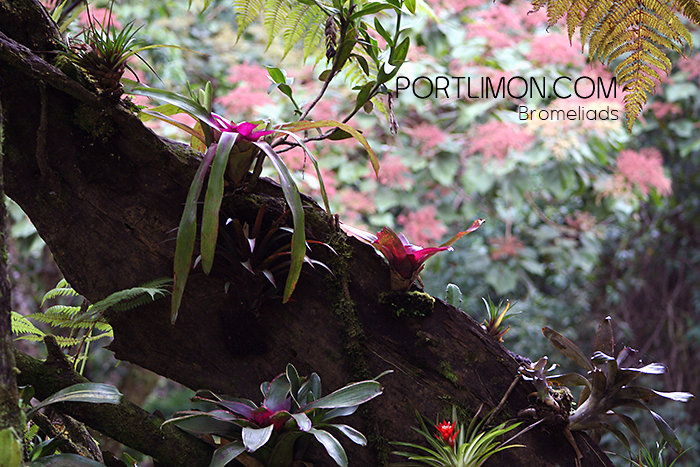 These are epiphytes plants, this means they are plants anchored to branches of trees but they are not parasitic, they are taking nutrients from rainfall and from some sort of aerial plankton that floats in the rainforest canopy, this last one is formed due to decomposition (and transformation into dust) of so much different forms of vegetative life that literally covers all trees in the forest including moss, lichen, club moss, ferns and many others. 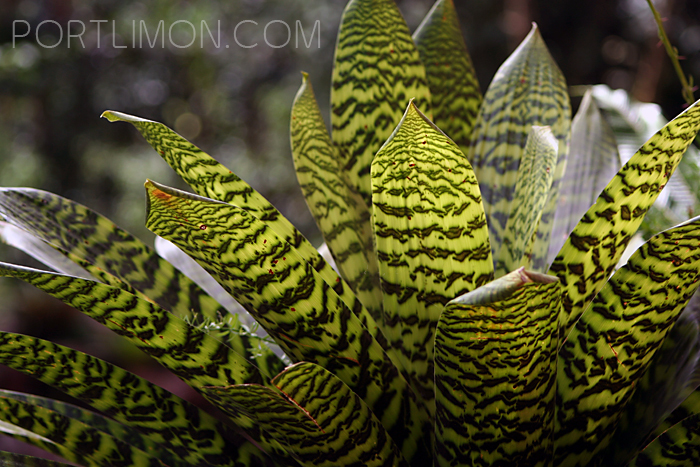 Bromeliads are one of the most evolved forms of plants, their capacity of living without soil is an impressive adaptation to the environment, one strategy they have to resist desiccation is the presence of thousands of tiny scales covering their leaves which act as mirrors reflecting most of the suns light and by the way avoiding also the heat from where desiccation may happen. It’s interesting to observe how their reproductive system is based on the fact that they live in trees trying to get close to the canopy where more sunlight happens, this includes having seeds that are very light and dispersed by wind. The easiest way of finding out if the plant observed is a bromeliad is when you see that such a plant is formed by a kind of crown of leaves, exactly like the leaves present in pineapples, pineapples are bromeliads that have being modified by humans during millennia and are now growing in the ground, and producing for us it´s unique tasty fruit . 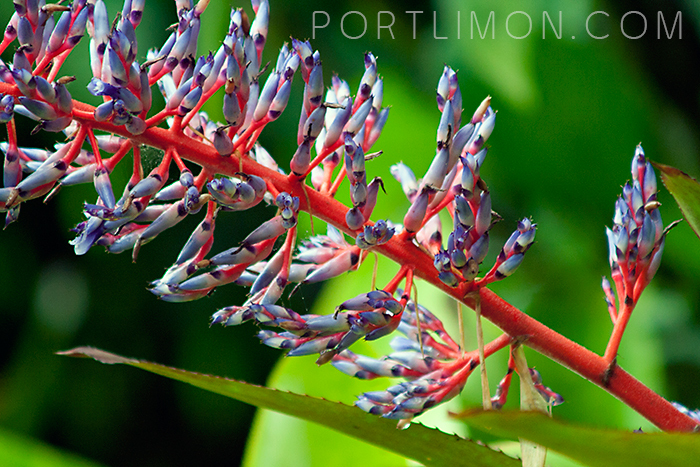 Genus of this family present in Costa Rica are: Aechmea, Ananas, Androlepis, Araeococcus, Bromelia, Catopsis , Greigia, Guzmania, Pitcairnia, Puya, Ronbergia, Tillandsia, Vriesea. 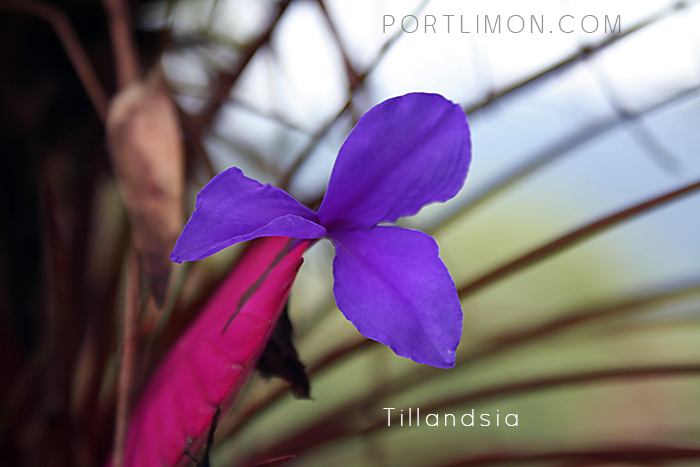 There are at least 138 species of bromeliads in Costa Rica. 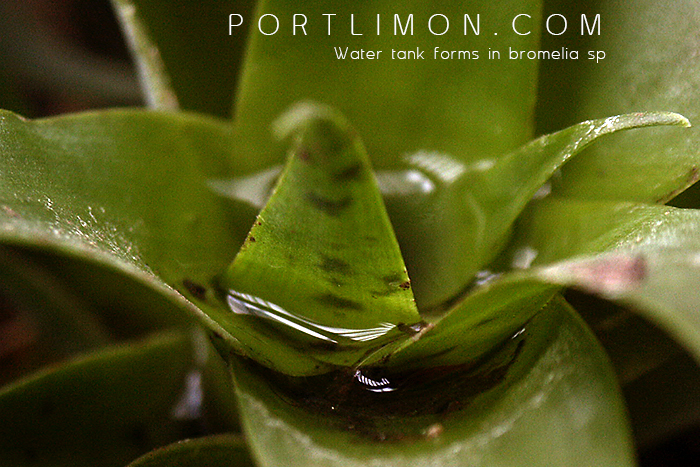 Many of the bromeliads hold rainfall and form kind of little water-tanks, inside, many different forms of life (insects, lizards, frogs) live part of their life cycle -if not their whole life- . If we could put all these little water-tanks together , we will understand that these is a small ocean that hangs at the canopy making out this environment not only an aerial but also aquatic kingdom, that´s why we now can tell that 70% of the biodiversity in a tropical rain-forest happens at the tree tops.